On this website you have access to information, tools, resources, and products. These are the property of Marvelous Enterprises, Inc. and Marvelous Marvin Hagler. They are for use only on www.marvelousmarvin.com. Copying or duplicating any material on the site is strictly prohibited and punishable by law. All materials sold on www.marvelousmarvin.com (photographs, t-shirts, fragrance, posters, boxing gloves, boxing shorts, and other materials sold from time to time) are sold for the personal use of the purchaser. Copying or duplicating any such materials is strictly prohibited and punishable by law. If you communicate with us via www.marvelousmarvin.com, we will gladly respond to your message or any reasonable request. Messages which contain illegal material or which are offensive, racist, harassing, abusive, threatening, defamatory, intimidating or inappropriate language may all be punished by law. Such communications will not be tolerated and we reserve the right to report them to legal authorities. You can link from www.marvelousmarvin.com to the Marvelous Marvin Hagler FANCLUB on Facebook. The same standards about legal and appropriate language apply to messages posted on the FANCLUB page, and illegal or inappropriate language will be deleted. We reserve the right to ban the person or to report the person to legal authorities. Our Trademark is registered and may not be copied or used for any reason whatsoever. Illegal use of the mark is punishable by the law. All content and material displayed on www.marvelousmarvin.com is exclusively the property of Marvelous Enterprises, Inc. and Marvelous Marvin Hagler and no one is authorized to use them without written permission prior to use. All items offered for sale on www.marvelousmarvin.com are limited editions. All autographed items are guaranteed to bear the original signature of Marvelous Marvin Hagler. 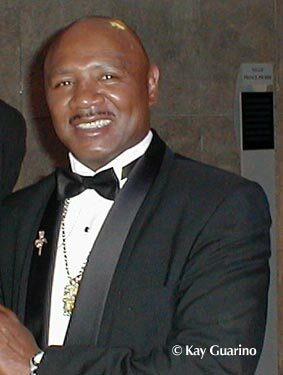 Neither Marvelous Enterprises, Inc., nor Marvelous Marvin Hagler offer autographed items for sale via any website or internet store other than www.marvelousmarvin.com. If you buy an item from another site which is supposedly signed by Marvelous Marvin Hagler, we are not responsible and we make no guarantee about the item's authenticity. Some items on sale at www.marvelousmarvin.com come with a certificate of authenticity, which is signed by the officers of Marvelous Enterprises, Inc. and Marvelous Marvin Hagler himself. For information regarding the availability of the merchandise you can always contact isales@marvelousmarvin.com BEFORE you purchase any item. Someone will always respond and help you. The price of all the merchandise for sale on www.marvelousmarvin.com includes the price of shipping. Processing of orders is handled through Paypal, which provides a secure method for you to pay by credit card. If your credit card is declined please contact your credit card issuer or Paypal. If you make an error in the order and the transaction goes through, we can reverse your payment so you can order another item. We DO NOT change or refund any items that are already in your hands! We cannot issue a refund for a lost item. If you have received a damaged item, you have 5 days (working days) from the day you received the item to report the problem to us. However, we are not liable for any damage done during shipping. For that you will need to contact the courier service that delivered the merchandise. Please be aware that we always make sure that all items leave the store in perfect condition and are packaged appropriately. All merchandise shipped outside the USA is sent registered mail and we can provide to you a Customs number so you can track your item. Inside the USA all merchandise will be sent priority mail with delivery confirmation.